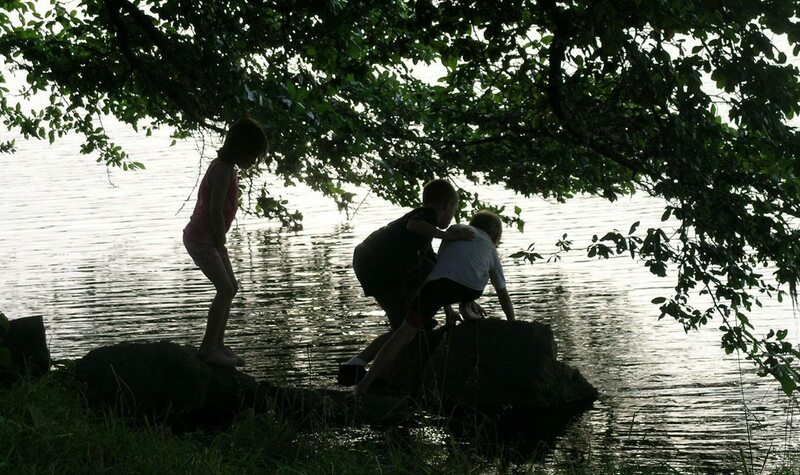 Whether you come by yourself or with family and friends, you’ll make new memories with each visit to the Florence Griswold Museum. 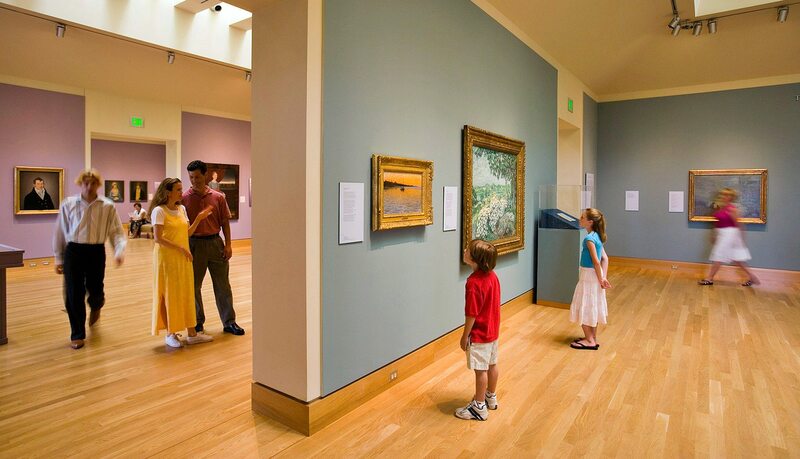 Whether you come by yourself or with family and friends, you’ll make new memories with each visit to the Florence Griswold Museum. Discover American art from the 18th to the 20th centuries as well as changing exhibitions. 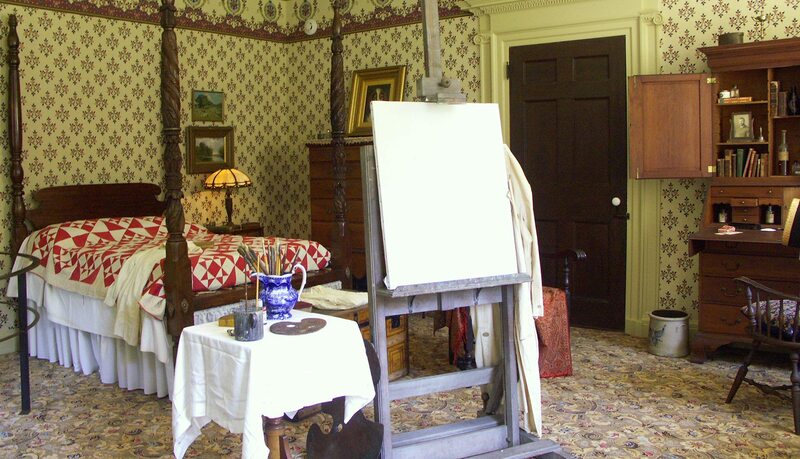 Step back in time in the famed Florence Griswold House, the historic centerpiece of the Lyme Art Colony, where some of America’s most beloved artists lived and worked. 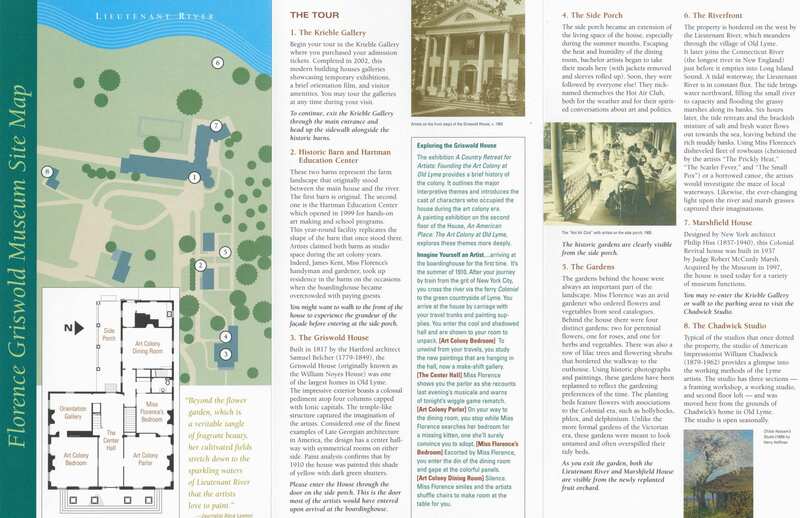 Wander the gardens and riverfront that inspired a generation of artists. Enjoy a little shopping and perhaps lunch on the veranda to make the day complete. Begin your visit at the Krieble Gallery. Beyond showcasing the current exhibitions, the Gallery houses the admissions area, The Shop, restrooms, the Orientation Theatre where an introductory video can be seen, and Café Flo. 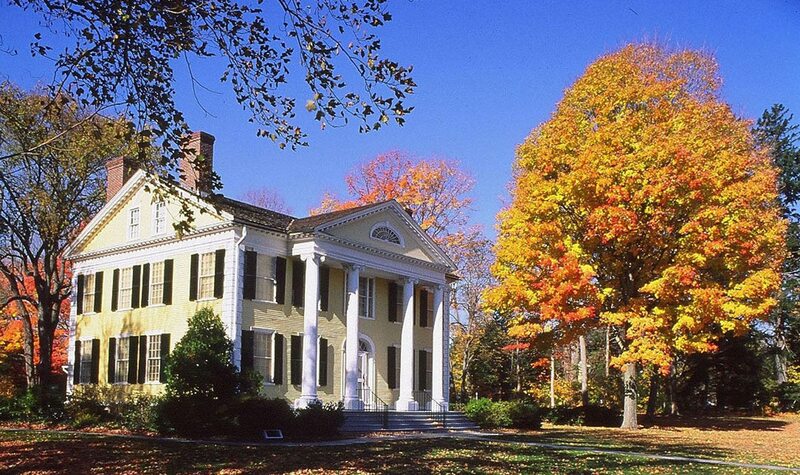 It leads to Marshfield, a Colonial Revival house where many of our lectures and events are held. Exhibitions in the Krieble Gallery change three to four times each year. 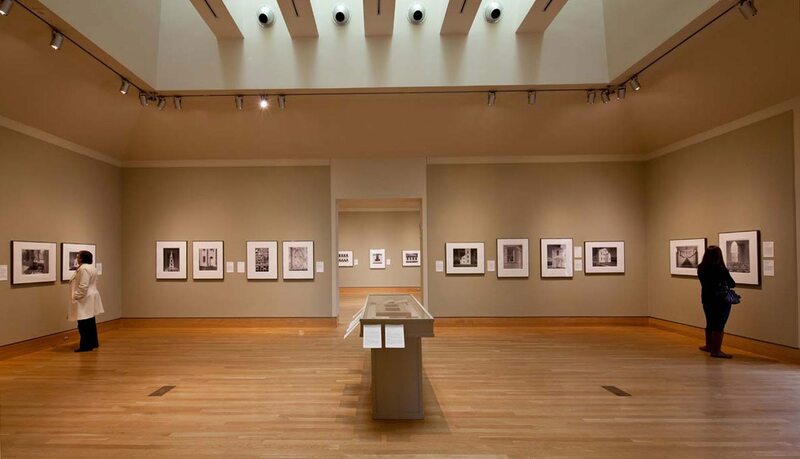 From collaborating with outstanding institutions such as the Fenimore Art Museum, the Portland Museum of Art, and the Parrish Art Museum to exhibitions such as The Exacting Eye of Walker Evans based on new research by our curators, there is always something on view to delight and inspire. Looking with little ones? Families can pick up Can You Find Me? Cards in the gallery area and search for details in the paintings featured in the exhibition. 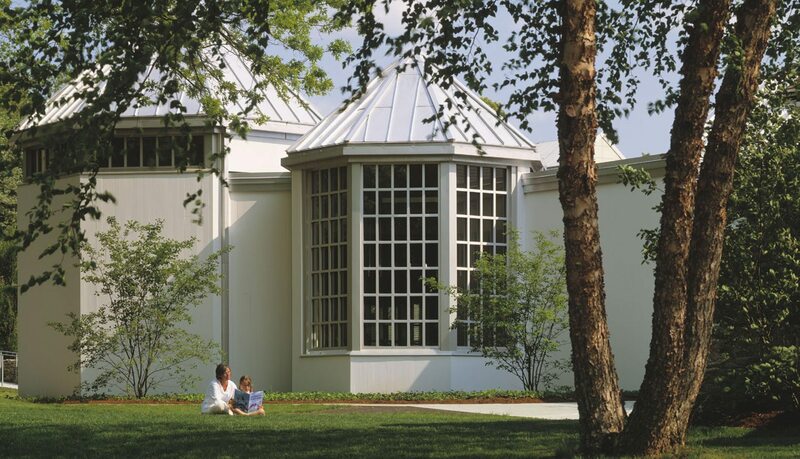 The Florence Griswold Museum opened the Robert and Nancy Krieble Gallery in 2002. 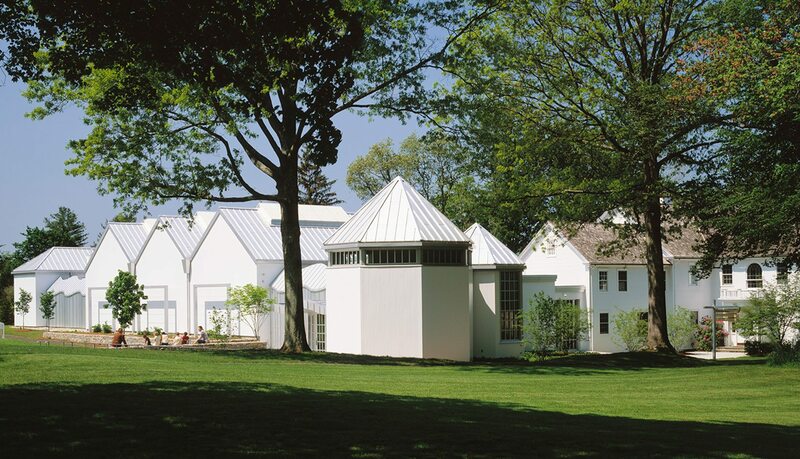 Designed by Centerbrook Architects, recipient of the 1998 AIA Firm of the Year Award, the gallery accommodates exhibition space, collection storage, visitor amenities and the museum shop. Overlooking the Lieutenant River, near where many of Miss Florence’s boarders set up their easels and painted the marshy coastline, this modern facility draws upon the Museum’s unique history and setting. Visitors enter under a rippling aluminum canopy, which echoes the tidal river just beyond. Flowering vines scaling stainless steel arbors provide verdant contrast to the smooth white building and pay homage to Miss Florence’s lush gardens. Recognizing the importance of light to the Impressionist painters, the curvilinear connecting walls reflect sunlight, cast shadows, and create an airy, welcoming effect. Inside, specially designed skylights allow visitors to experience the artwork in an ambient natural light. 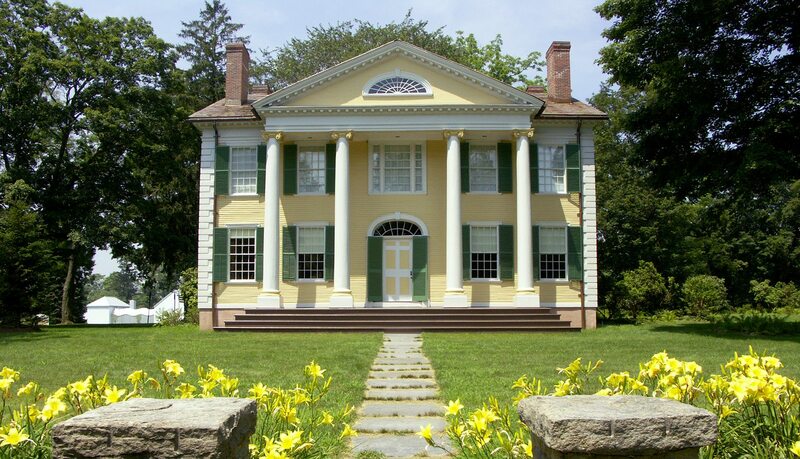 Designed by Samuel Belcher, architect of the First Congregational Church of Old Lyme, and built for William Noyes in 1817, the Late Georgian-style mansion reflects the affluent, formal style of living during Old Lyme’s maritime era. Next, tour the Florence Griswold House. 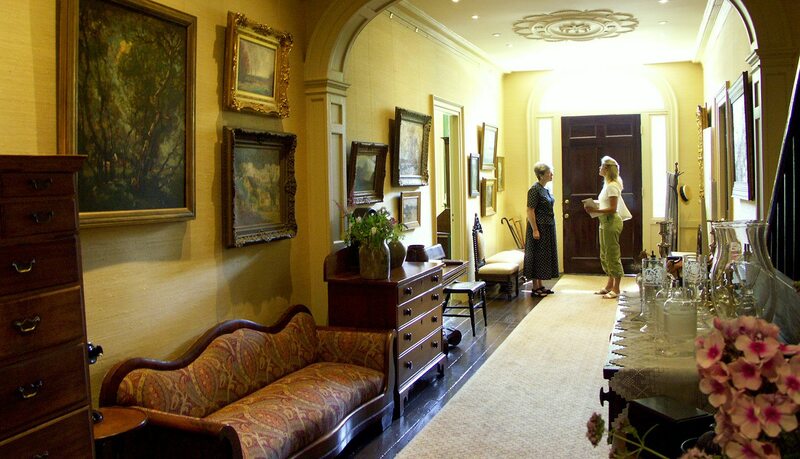 The Late Georgian mansion was transformed from a wealthy sea captain’s home into a boardinghouse for some of the most noted names in American Impressionism. 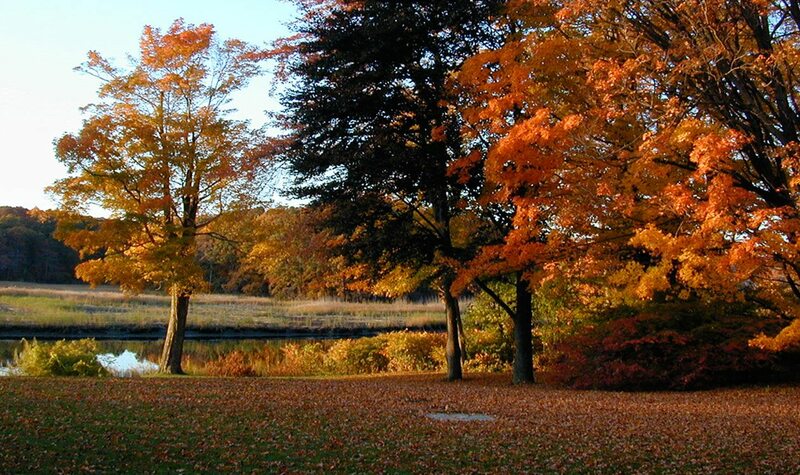 Over 200 artists such as Childe Hassam, Willard Metcalf, and Matilda Browne found the lush countryside of Connecticut the perfect location for an American art colony. The Lyme Art Colony artists left their marks not only on canvas but even on the doors and wall panels of “Miss Florence’s” house. Families can ask for a Scavenger Hunt with a list of objects to find in each room. The objects tell the story of the Museum so families can learn about the famous artists who lived in the house over one hundred years ago. Return the sheet to the front desk for a prize. More than a remarkable building, the Florence Griswold House occupies a unique place in the history of American art. 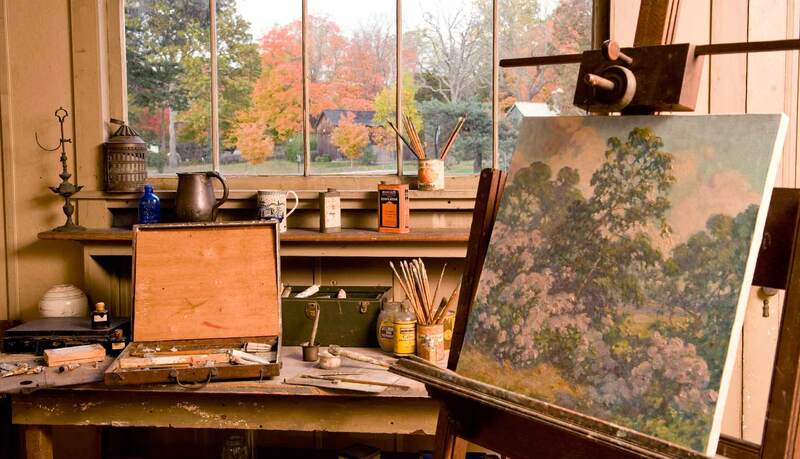 It brings alive the work of American Impressionist artists in the place where they lived and painted. The period rooms rekindle the spirit of another life and time. 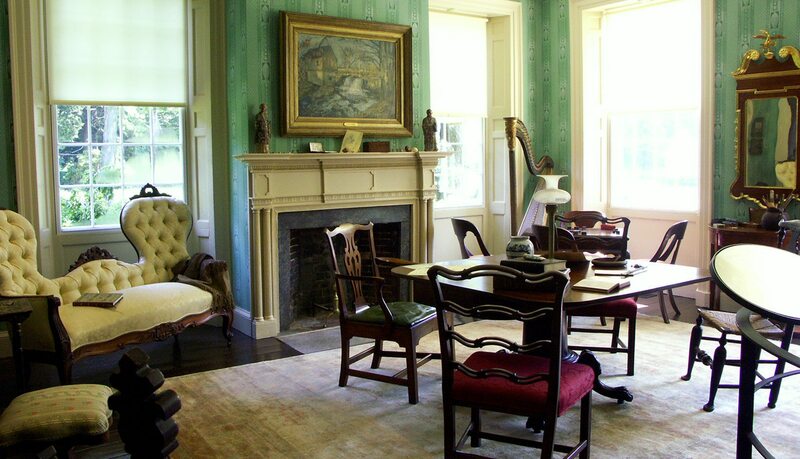 The second floor of the House features the exhibition, An American Place: The American Art Colony at Lyme. Paintings, sketches, and photographs detail the importance of the Lyme Art Colony in the history of American Art. 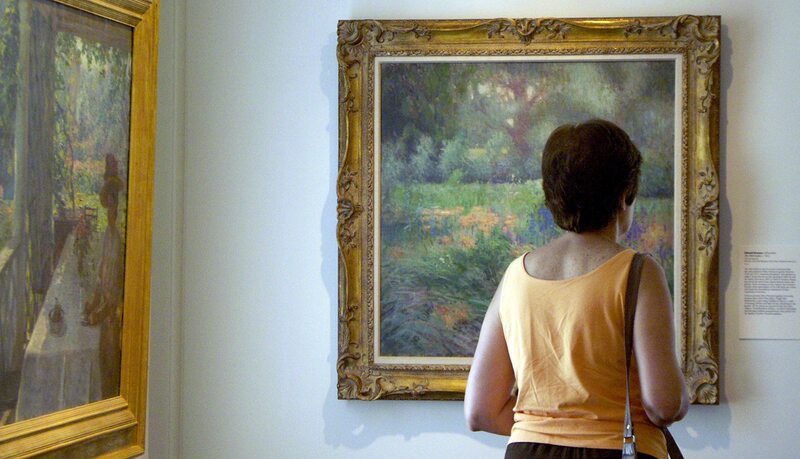 The artists left Miss Florence, and generations of art lovers, something very special. Many painted directly on the walls and doors of the Florence Griswold House. The Museum’s grounds invite exploration. 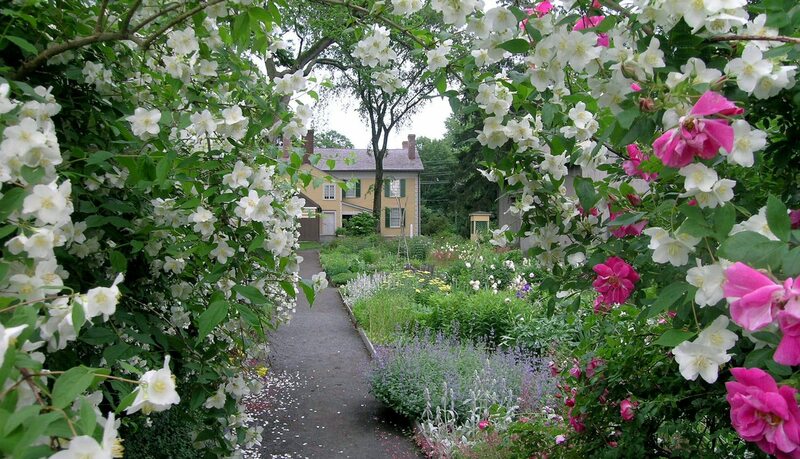 Visitors may wander the thirteen acres of scenic beauty bounded by the picturesque Lieutenant River and walk through the “old-fashioned” historic gardens of Florence Griswold. Visitors stand at the site of Childe Hassam’s favorite spot, stroll Miss Florence’s lovingly restored old-fashioned garden, and rest where Chadwick posed his model for the now famous, On the Piazza. Today, just as over one hundred years ago, artist and visitor alike can discover the quality of light and the spirit of place found here. 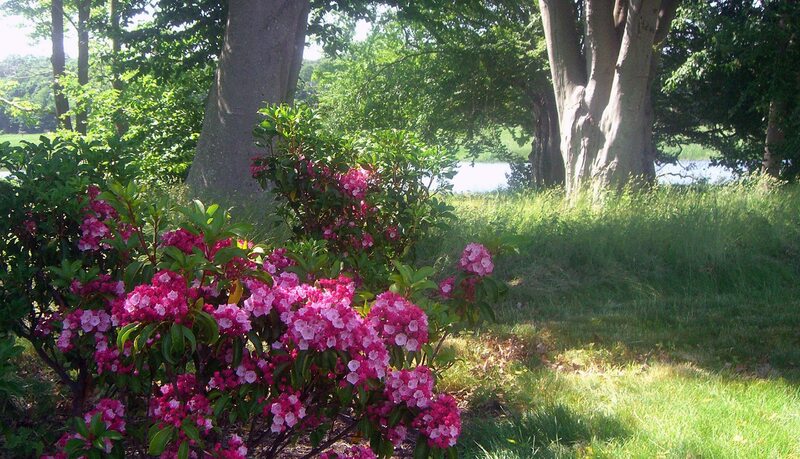 Florence Griswold was a keen gardener. From seed catalogues and references to gardening books among her correspondence, we know she was constantly in search of new and unusual plants. She helped others, including several of the Lyme artists, to establish their own gardens with “good, old-fashioned flowers” and filled her own home with small, informally arranged bouquets of fresh flowers. 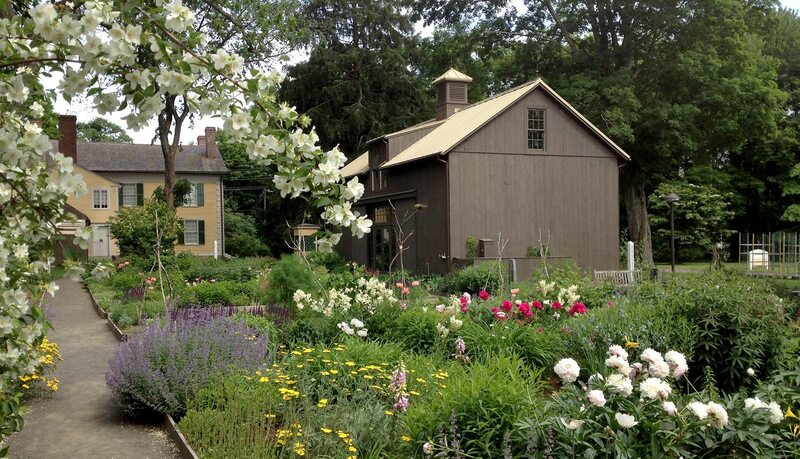 One of the Museum’s goals was to restore Miss Florence’s garden and orchard that were the subject for so many paintings by the Lyme Art Colony artists. That dream is now a reality. In 1998 an archaeological dig of the site helped the Museum to identify the physical boundaries of the garden beds and walkways as well as the surrounding orchard and outbuildings. Landscape Historian Sheila Wertheimer guided the Museum in the restoration of the gardens and site to its appearance circa 1910. Miss Florence’s garden can be characterized by what is referred to today as a “grandmother’s garden” in which masses of flowers were informally arranged in bordered beds close to home. Varieties of hollyhock, iris, foxglove, heliotrope, phlox, cranesbill, and daylilies were among the many perennials that made up her garden. 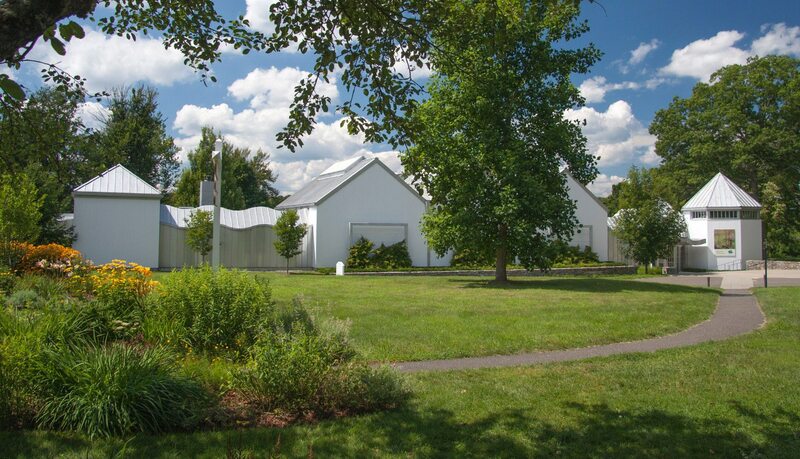 In 2017 the Robert F. Schumann Foundation awarded the Museum a $1 million dollar grant for the implementation of a new vision for the 12-acre property. 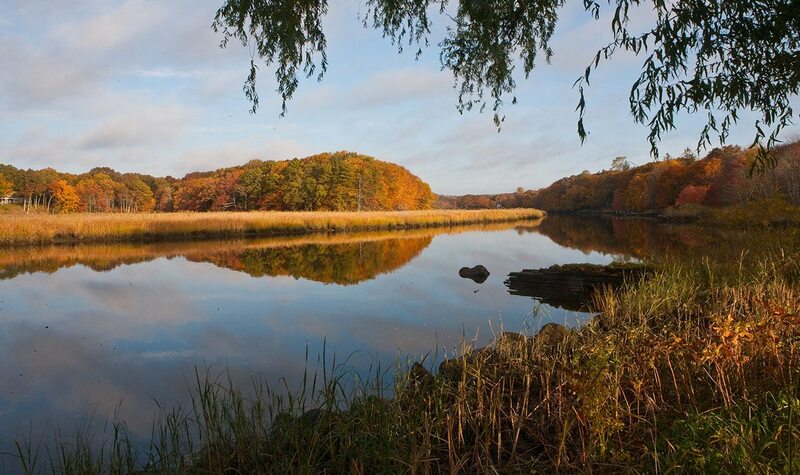 Stephen Stimson Associates Landscape Architects studied archival photographs, paintings by the Lyme Art Colonists, and previous research from archeological digs onsite to create a Master Landscape Plan, including the Artists’ Trail. Late in 2018 Mountain View Landscape broke ground along the riverbank to prepare pathways and a rainwater garden. 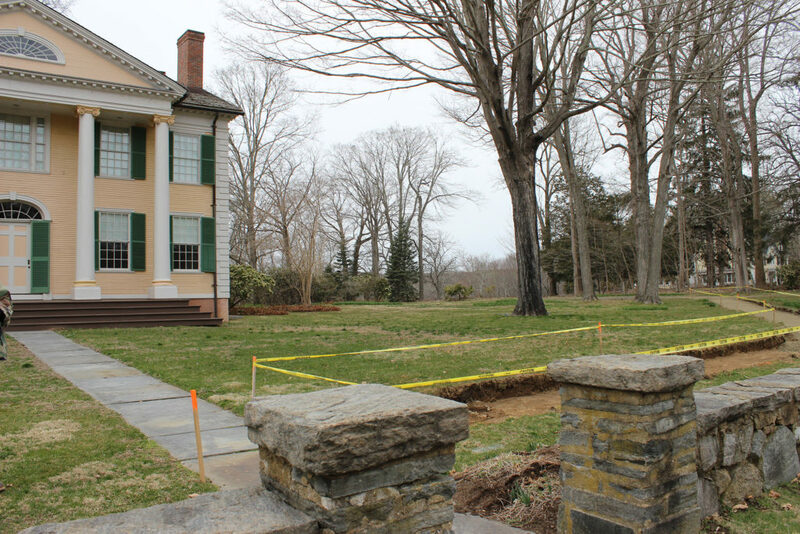 They also installed 19th-century repurposed granite to create tiered access to the hillside. Internally, staff have been working on wayfinding and interpretive materials that will help guide visitors through the natural, artistic, and historic highlights of our site. Check back for more updates on further progress and announcements about upcoming programs and special events in conjunction with the Artists’ Trail. 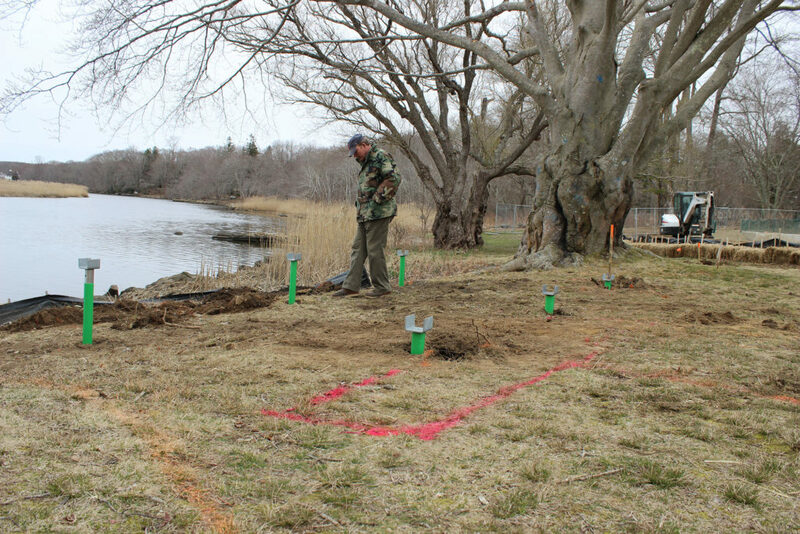 During the winter and spring of 2018/2019 there will be some very exciting changes taking place on the Museum’s Grounds. When you visit the Museum you’ll notice a chain link fence between the gallery and the Lieutenant River. Why is that? It’s because the groundwork is being laid for an exciting new addition to the Museum’s landscape, the Artists’ Trail. 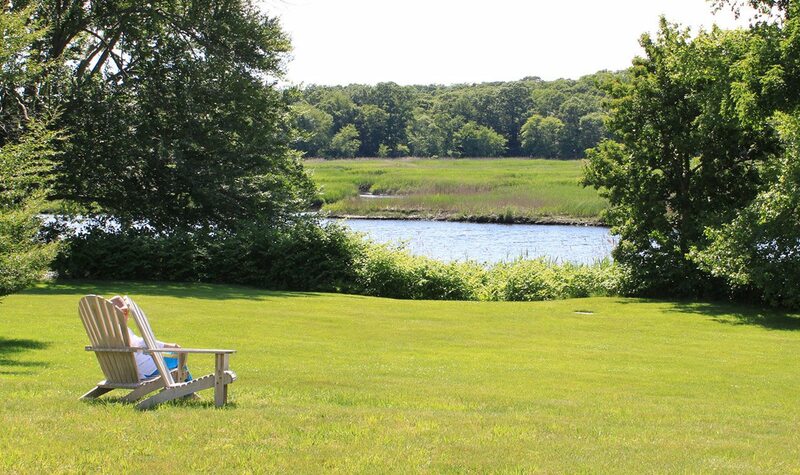 In 2017, the Museum was awarded a $1 million grant from the Robert F. Schumann Foundation for the implementation of a Landscape Master Plan designed by Stephen Stimson Landscape Architects. Robert Schumann was a devoted trustee and patron of the Museum for nearly two decades. 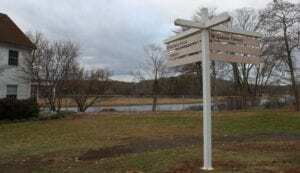 The Museum seeks to honor Schumann’s legacy as an avid birder, conservationist, and philanthropist by dedicating the fully accessible Artists’ Trail, a major component of the project, in his honor. With a goal of providing visitors a more authentic sense of why artists were drawn to the site and how they interacted with the land, Stephen and Lauren Stimson and their team developed a Landscape Master Plan that re-envisions the entire 12-acre site by reclaiming its agrarian past featuring hedgerows, cart paths, riverfront meadows, and woodland thickets, which were lost over years of subdivision and development. 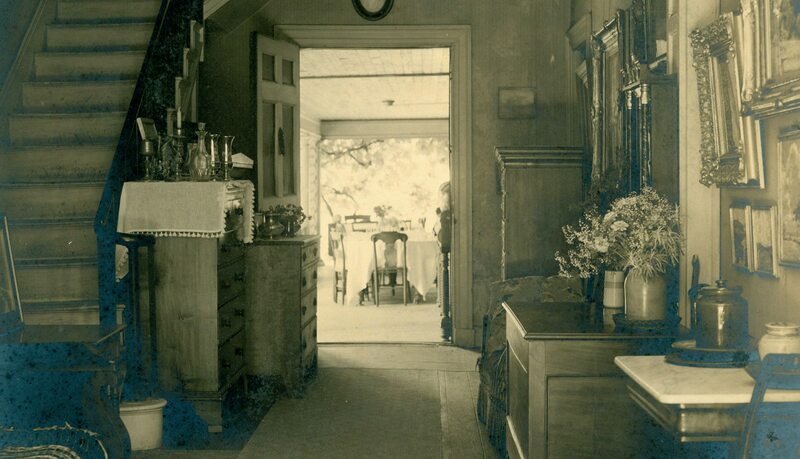 After studying archival photographs, the Stimsons found that the Lyme Art Colony painters often worked within the estate’s edges, riverfront, brambles, and forgotten corners. 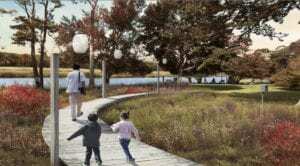 This plan activates these edges to tell the artists’ story and provide ecological improvements, while directing a cohesive exploration of the grounds. 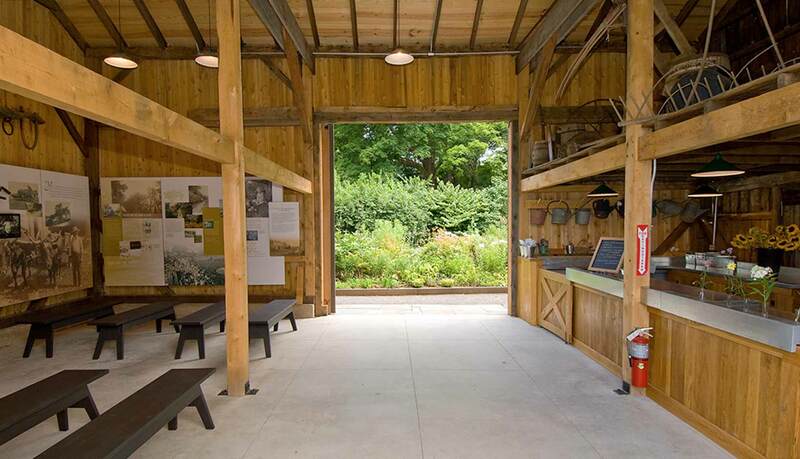 Through the creation of a half-mile long Artists’ Trail around the edges of the Museum, visitors will be immersed in a culturally interpretive exploration of the grounds, learning about the site’s history and its restored and enriched ecology at various interpretive stations. 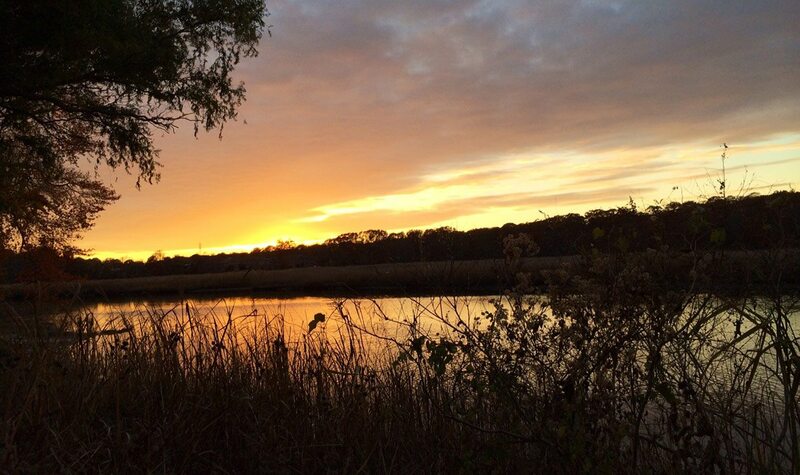 From now through the spring, you can watch as the plans unfold, including the addition of native species habitats, sanctuary for migratory birds, and new learning opportunities for visitors. Once completed, the Florence Griswold Museum will provide visitors an experience that interweaves art, history, and nature in ways rarely found in the museum world. Want to know more? Updates will be shared in the Museum’s twice-monthly e-newsletter and Facebook, Twitter, and Instagram posts. Please email Tammi@FloGris.org if you would like to receive the e-newsletters and like us on social media. We look forward to sharing the unveiling of the Artists’ Trail with you in late July! Florence Griswold (1850-1937), or “Miss Florence” as her friends knew her, was an avid gardener. Download the guide to the perennials and annuals found in Miss Florence’s Garden. 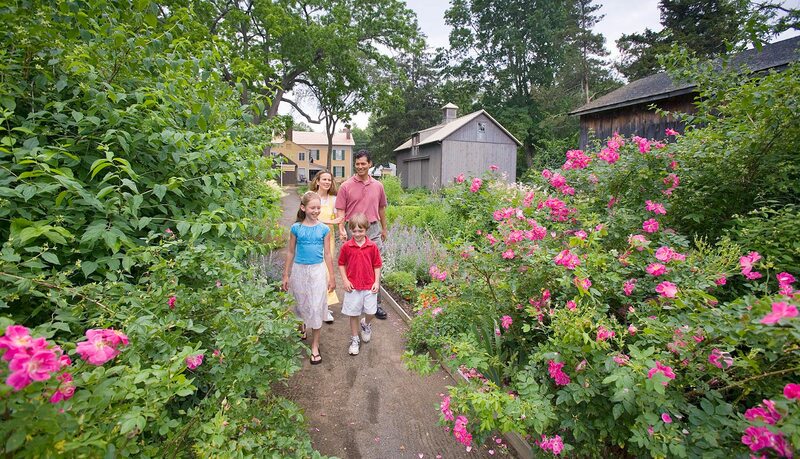 In 2000, members of the Museum’s “Garden Gang” planted what would become over 1,500 heirloom perennials for the garden. 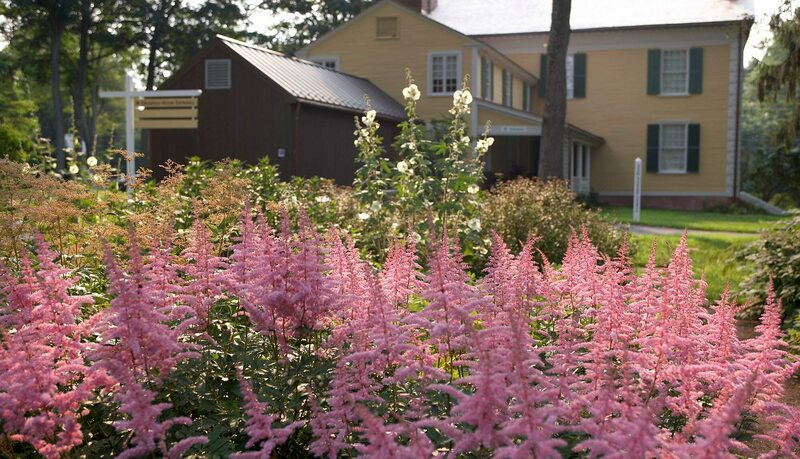 Garden Gang volunteers have become absorbed in researching the specific cultivars and locating sources for historically-accurate plant material. 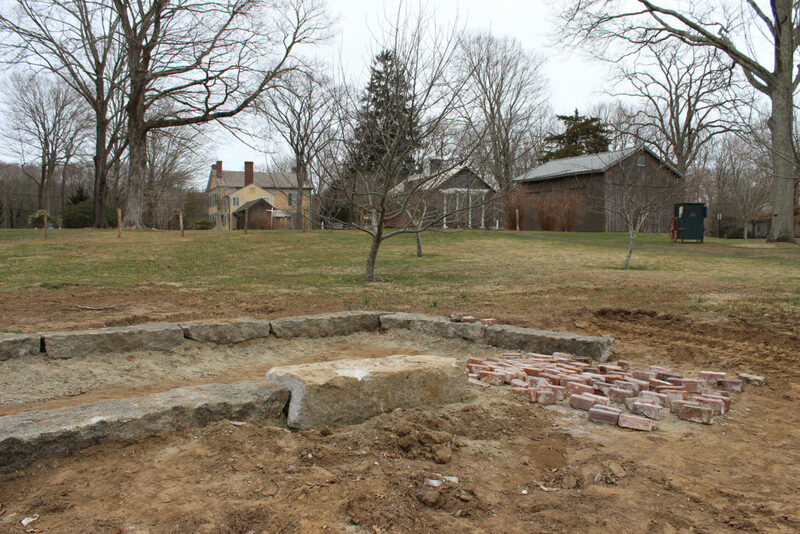 There are always new additions being planted on the grounds to evoke the natural landscape that attracted the artists of the Lyme Art Colony more than 100 years ago. Restoring the gardens and grounds that once served as a subject for the American Impressionists is central to the Museum’s plans to create a living cultural landscape here. 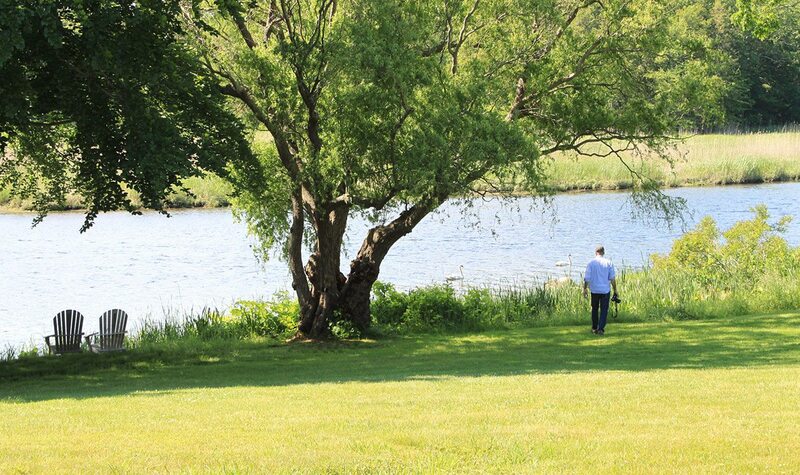 Over time, these grounds will capture a sense of place and provide a sensorial understanding of why so many artists found, and continue to find, inspiration in this riverside setting. Just beyond the gardens lies the Lieutenant River. 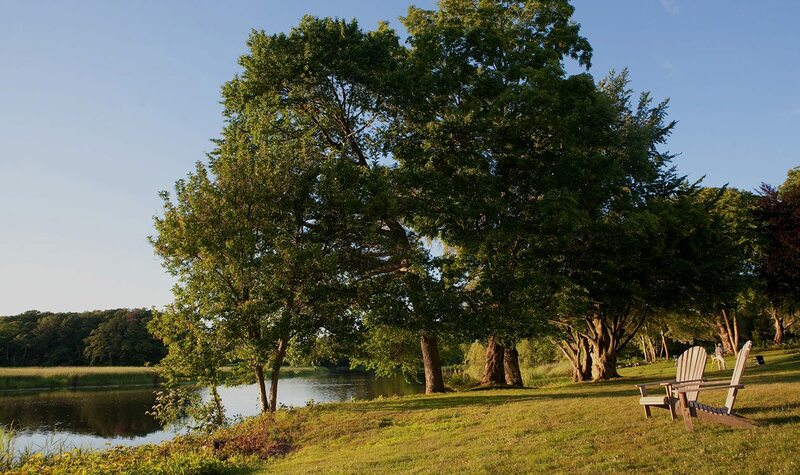 Visitors are encouraged to walk along the river’s edge for a better look at the variety of birds that call the area home, for a picnic on its banks, or to take in a summer concert. Here visitors experience firsthand the working practices of American Impressionist artist William Chadwick (1879-1962). 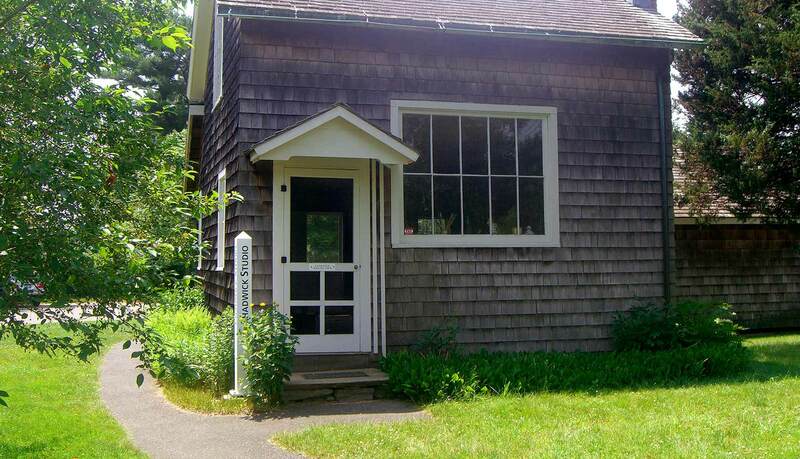 From about 1920 until his death in 1962, this structure served as the artist’s studio. 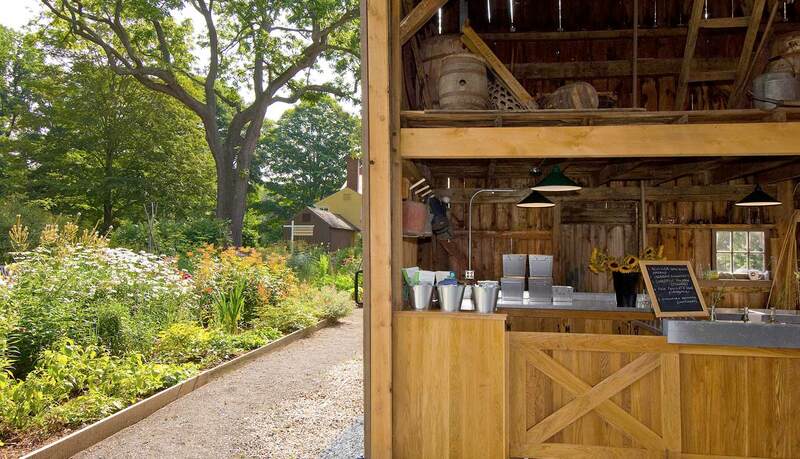 Chadwick created his studio from the conversion of vernacular outbuildings on his property, including an old cottage and an icehouse. The large airy room was the main studio and another room was used for storing paintings and supplies. While Chadwick was strongly committed to the “en plein air” tradition of Impressionism, particularly in depicting the landscape, he used this studio for figure painting, still lifes, and finishing landscape paintings begun in the open air. 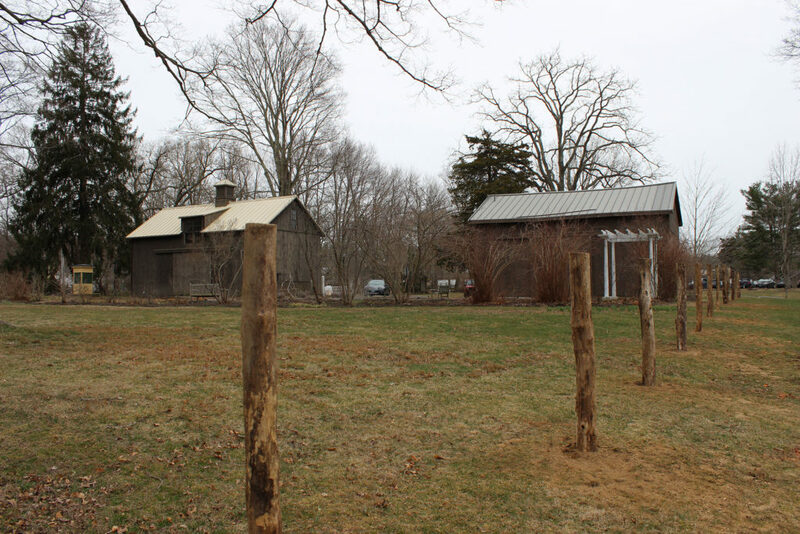 Originally located in a field behind Chadwick’s home about three miles from the Museum, the studio was donated by the artist’s daughter-in-law and moved to its current site complete with its furnishings in 1992. 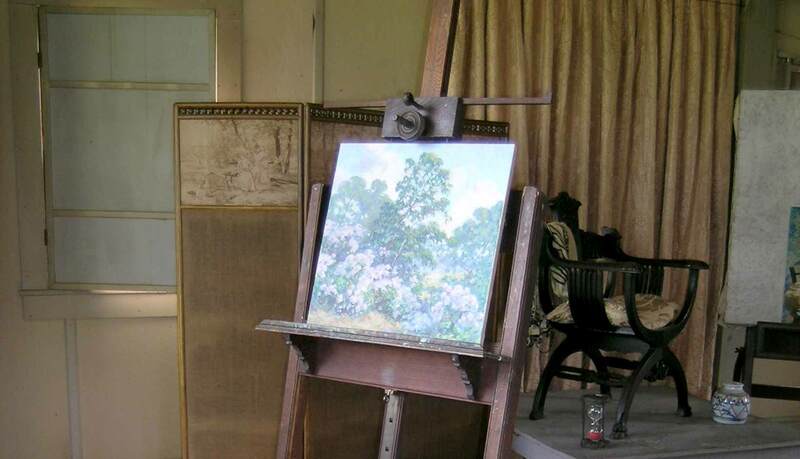 The studio is furnished and appears today as it did during his lifetime. Open the first Saturday in April through October during regular museum hours. 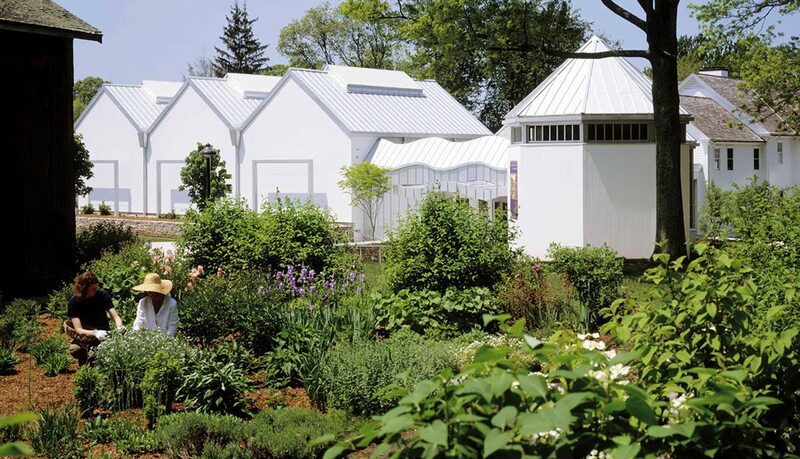 The Rafal Landscape Center is located in a traditional 19th century barn. An exhibit featuring a silent film from the 1920s, reproductions of historic photographs and paintings, and a selection of agricultural artifacts illustrate how people have interacted with the Lyme landscape over time. The Center features The Landscape of Lyme, an exhibition that highlights the history and significance of the region’s landscape. In addition, the building is the site for social and educational events throughout the year and may be rented for private parties. 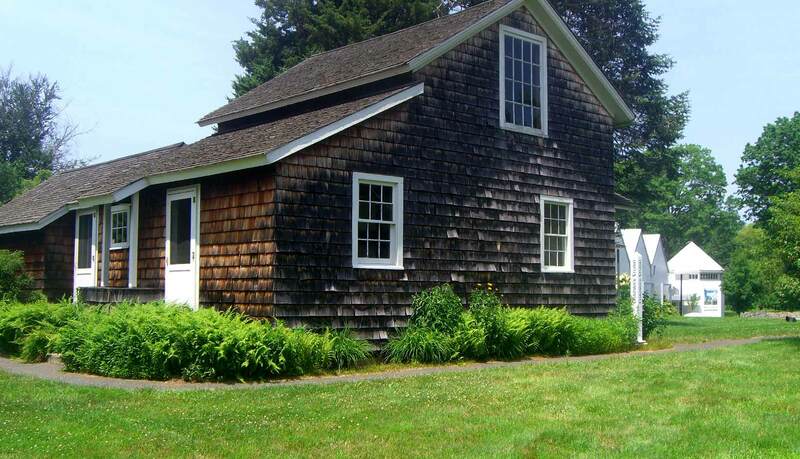 This outbuilding, which dates to the mid-19th century, is worthy of preservation as an example of a surviving Connecticut barn and as part of the cultural landscape of the Lyme Art Colony. 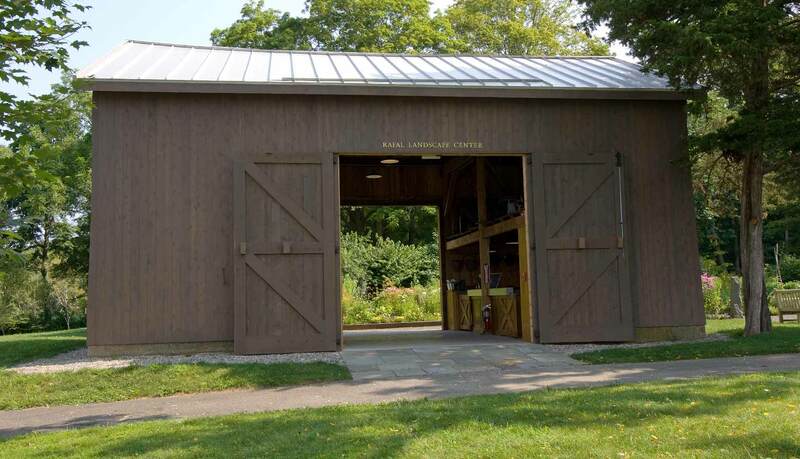 The barn underwent a comprehensive restoration in 2009 to make it structurally sound, ADA compliant, and accessible to the public. 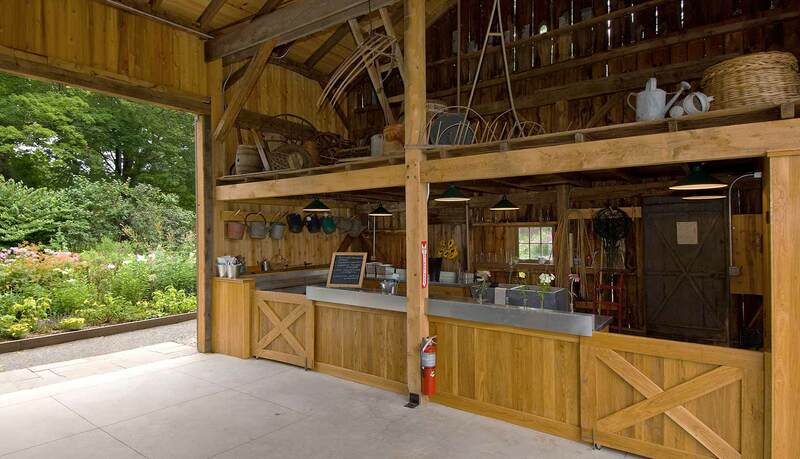 Every effort was made to maintain the barn’s rustic character. 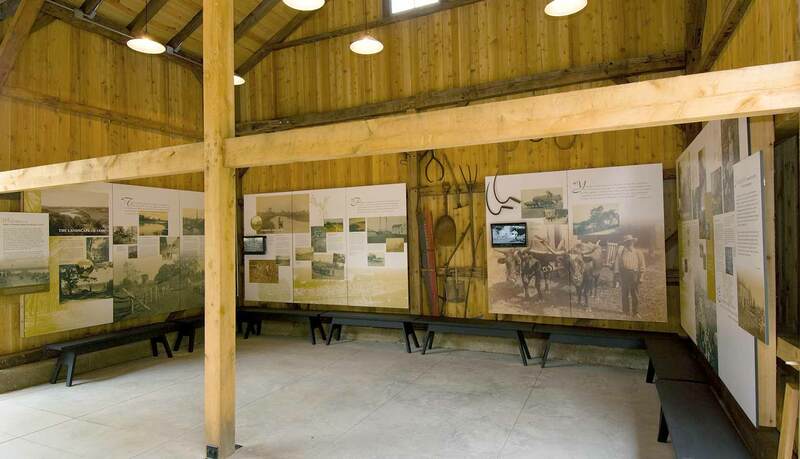 The architectural plans and design decisions were guided by how the barn looked in the early 20th century as documented by paintings and photographs in Museum’s collection. 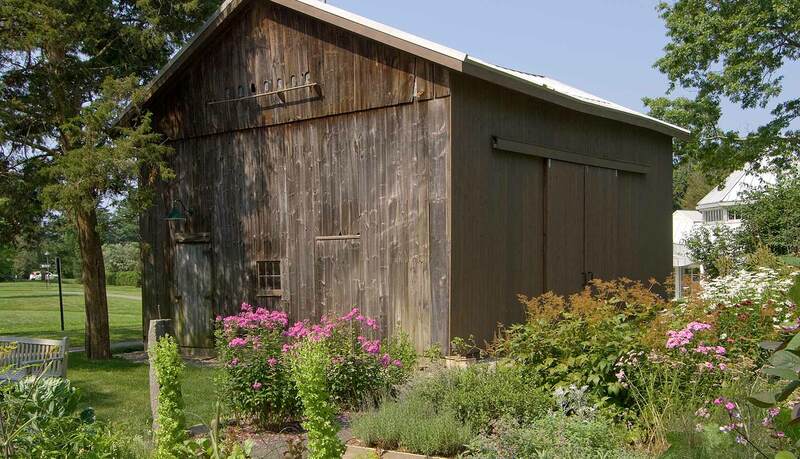 The barn’s appearance is consistent with the presentation of the Florence Griswold House as a boardinghouse for artists, c. 1910, and the interpretation of Miss Florence’s perennial and vegetable gardens, which are adjacent to the barn. 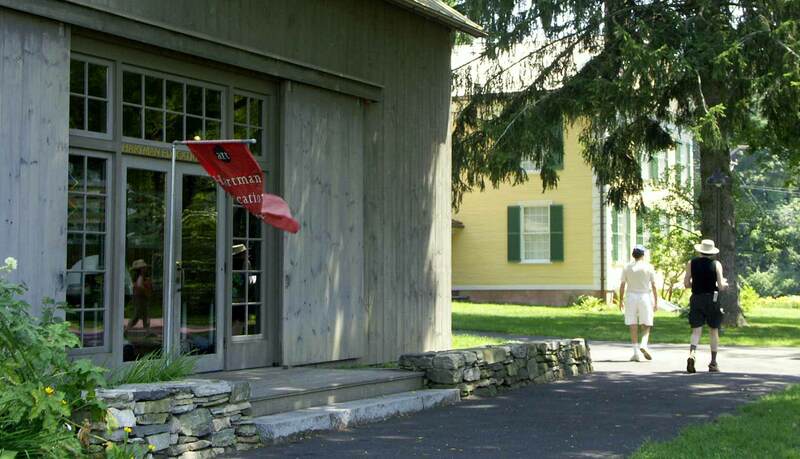 Funding for the project came from a variety of sources, including a generous gift from the Rafal Family and a Historic Restoration Fund grant from the Connecticut Commission on Culture and Tourism. 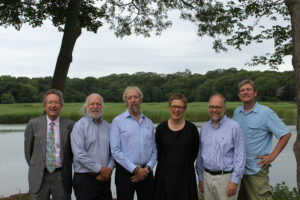 The Landscape of Lyme exhibition was made possible thanks to a grant from the Connecticut Humanities Council. 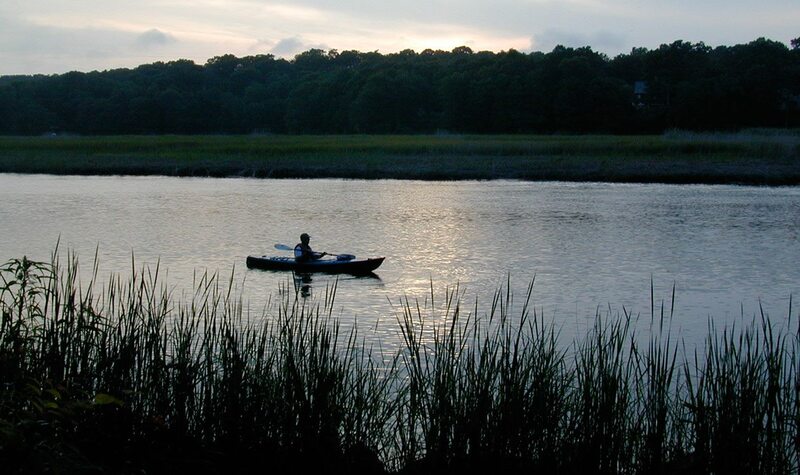 Old Lyme is buffered to the west by the Connecticut River and to the south by Long Island Sound. The area is noted for its topographical variety. 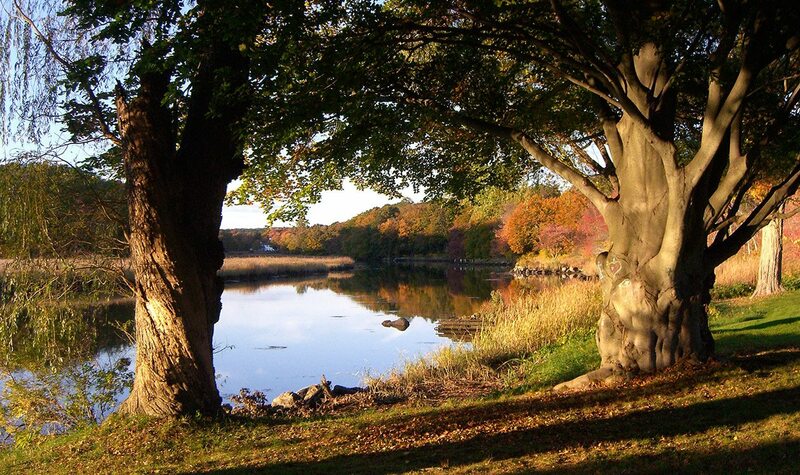 Moving from the shore to the uplands, Old Lyme is a network of low lying tidal estuaries surrounded by salt meadows that rise to rolling farm fields and rocky upheavals topped by deep shadowed forests. The Landscape of Lyme, explains the evolution of the land, beginning with how the last ice age covered the region with a mile-thick glacier of ice that gouged and deepened the valleys as it advanced and left boulders, gravel, and sand as it melted. Interpretive panels, photographs, and maps recount the impact of the different inhabitants, from Native Americans to the Dutch and English settlers of the 17th century to the 20th century artists who painted its tidal rivers and rocky shores. The exhibit features a silent film from the 1920s and reproductions of historic photographs to convey the openness of the local landscape that once existed when artists from all over America visited the area. 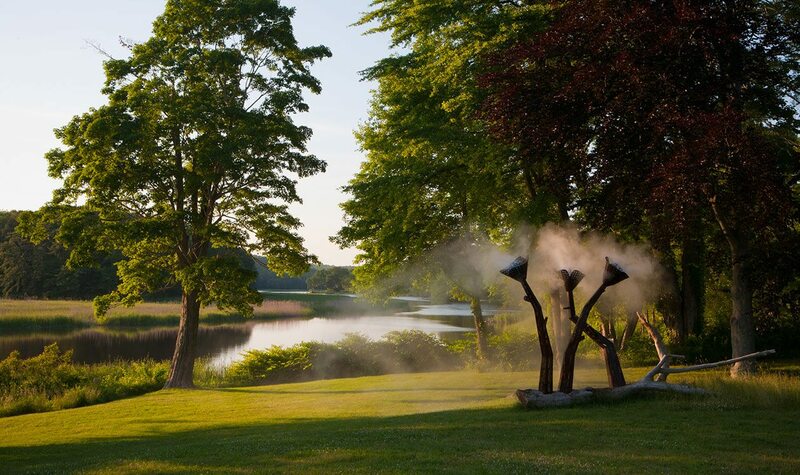 Reproductions of paintings, together with a selection of agricultural artifacts, give the visitor a sense of how people have interacted with the Lyme landscape over time. 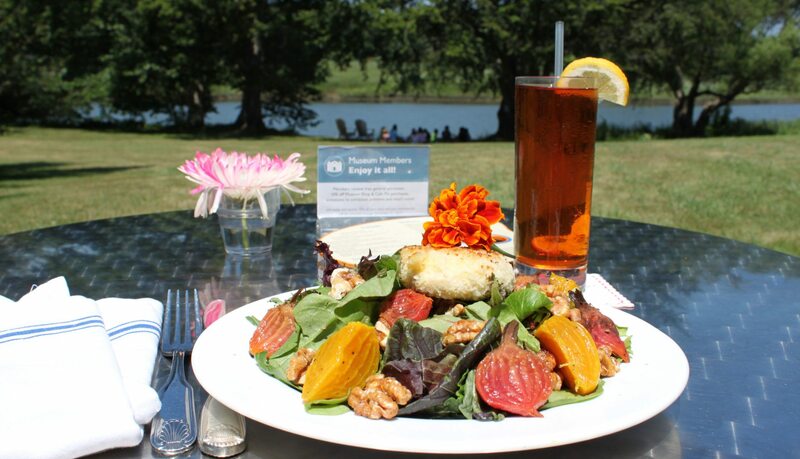 Visitors can enjoy a lovely lunch at Café Flo, located on the veranda overlooking the Lieutenant River. 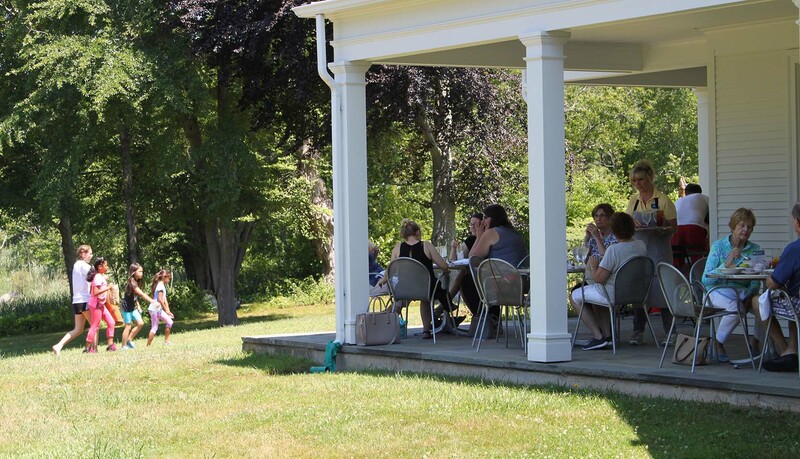 Dine with table service on the veranda or picnic on the lawn. 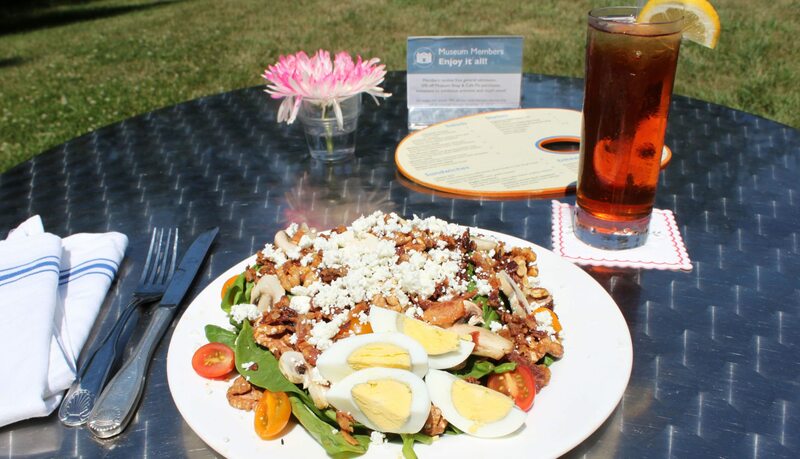 The Café’s delicious and inventive dishes are prepared by Gourmet Galley using only the freshest ingredients available from local farmers and purveyors. We can now say the “award winning” Cafe Flo! Twice! 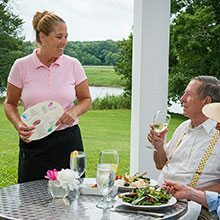 Connecticut Magazine selected Cafe Flo for Best Outdoor Dining AND Best Hidden Gem! 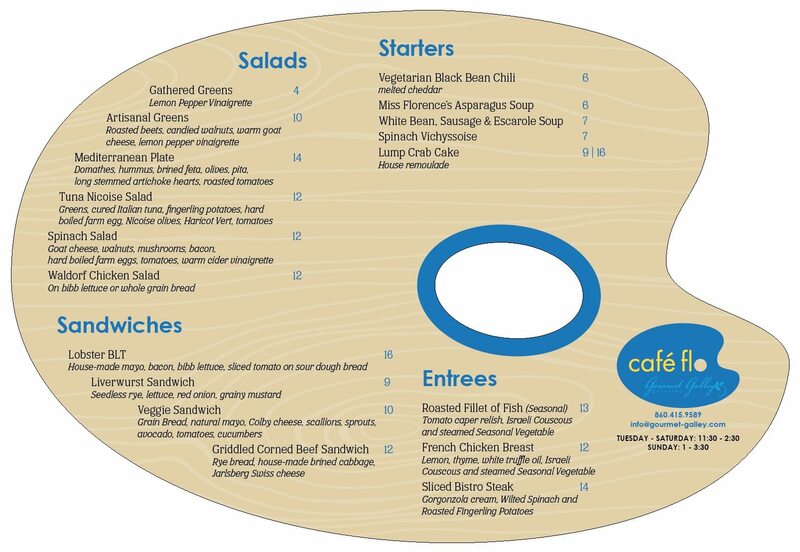 Would you like information on weekly specials and other Cafe Flo offers? Follow them on Facebook! 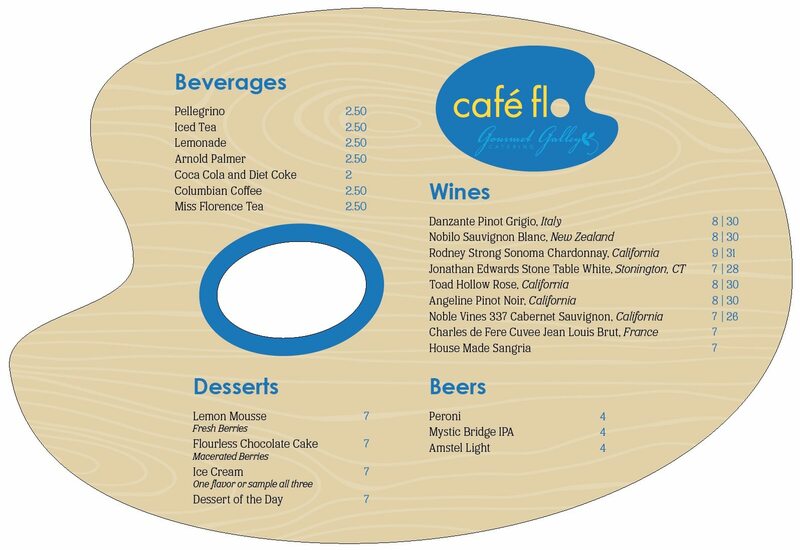 Would you like to give a Cafe Flo gift certificate? Click here! Reservations are only accepted for parties of six or more. (860) 434-5542 x 126 for reservations. Or LIKE their Facebook page to find out about specials! A Hot Bar offering family-friendly fare to take away or sit family-style with other visitors will be available. 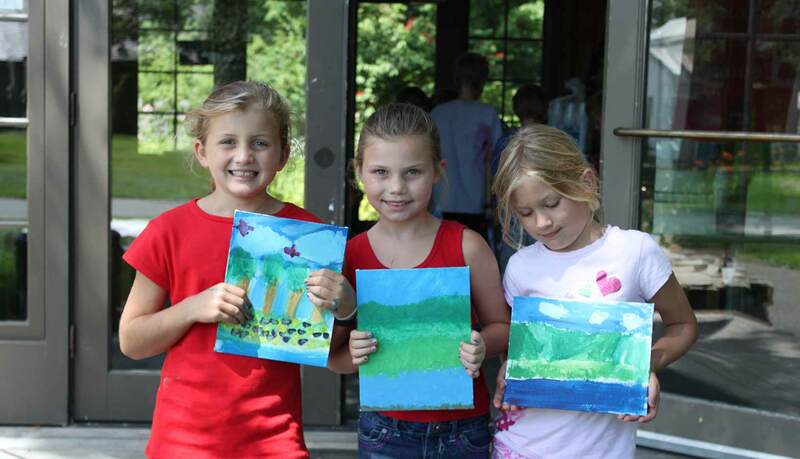 Thanks to a schedule of year-round programs and events for adults and kids, the Hartman Education Center is an exciting place! Check the Calendar for activities and times. Imagine a studio where preschoolers can listen to recorded harp music while drawing a picture of Miss Florence. A classroom where teenagers gather after school to watch a video about Impressionism before trying their hand at painting en plein air. A gathering spot for a local author to read a rough draft of a new book. The list of possibilities goes on and on. The Kelly Bill and John W. Hartman Education Center opened in the summer of 1999. 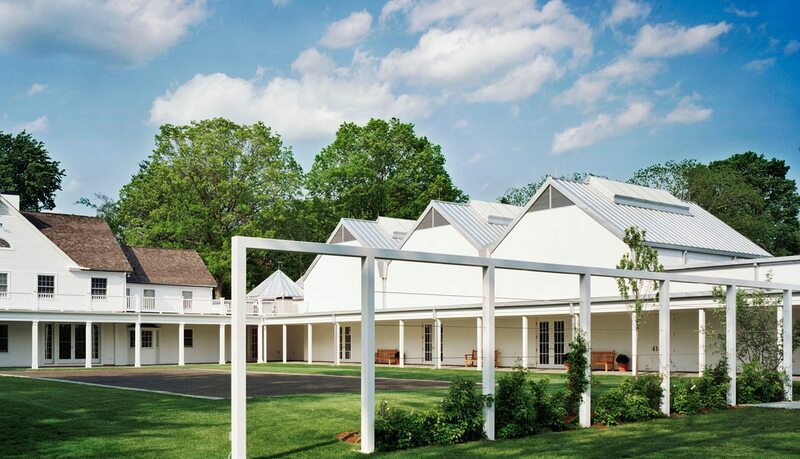 Designed by architect Frederick Biebesheimer of Interdesign, the Education Center is built on the site – and in the spirit of an original barn / studio that once stood there. The interior of the center is a light-filled, hands-on discovery classroom / studio / performance space. The fully equipped 1,100 square foot space offers flexible areas for activities, literary and dramatic presentations, and for the display of works created in the studio. 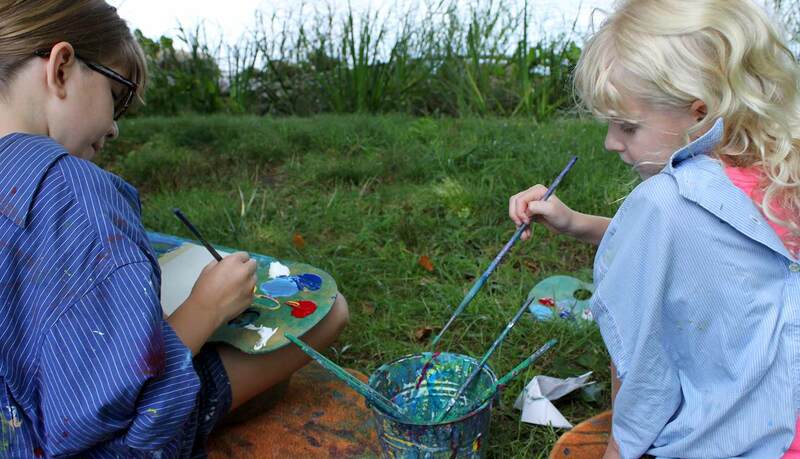 The center provides an inviting atmosphere for children, families, and adults to use their imaginations and hands to experience the world of art, history, literature, and nature. 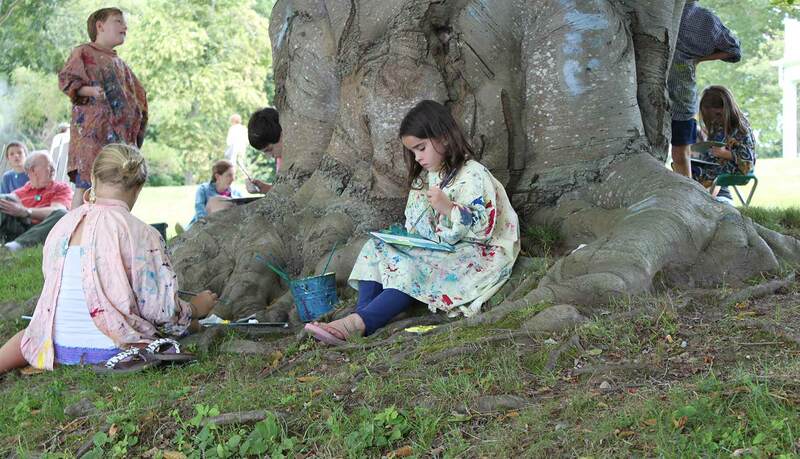 Bring the family and paint “en plein air” (in the open air) just as the artists did over a hundred years ago!